Arches National Park is situated in the eastern part of Utah, and is known for its magnificent sandstone formations which compose beautiful arches out of rock. It also holds the much admired internationally known Delicate Arch, among others. This desert red stone arena is a rich tourist site and also has a great history behind its formation. 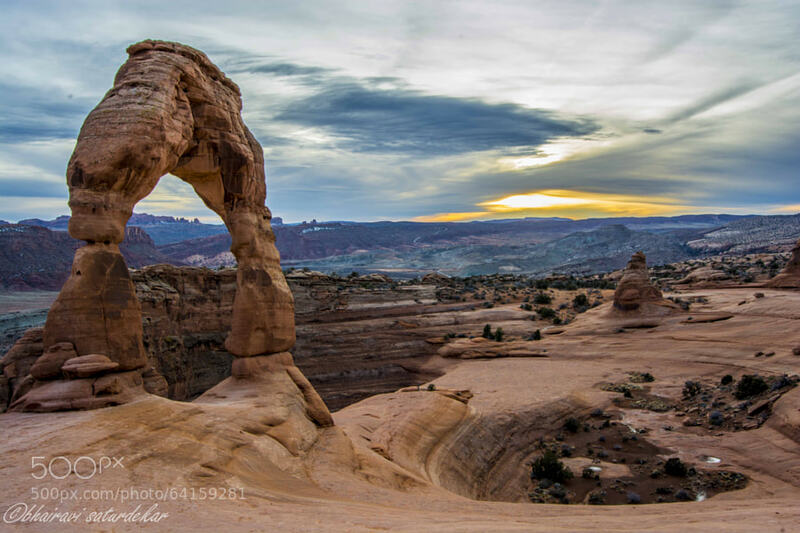 Arches National Park is situated in the outskirts of the town Moab, covering a surface area of about 76, 679 acres. The Park was initially dedicated as a National Monument on the 12th of April, 1929. However, by November 12, 1971, it was declared a National Park by the National Park Service. The Area covered by Arches National Park is believed to have hosted human settlements such as the Fremont and Ancient Pueblo People some 10,000 years back. However, these settlements disappeared from the area about 70 decades ago. The beauty of this area was made known on a broader scale in 1775 when the first Spanish Missionaries visited the Area. In 1855, another group of European American missionaries known as the Mormon Elk Mountain Mission also visited the area, but did not stay there for long. It is also recorded that a group of farmers, prospectors and ranchers also settled in this area around the 1880’s. These settlements, upon seeing the beauty of the area, spread word about the magnificence of its rock formations and the possibility of making it a tourist site. Frank A. Wadleigh, railroad passenger traffic manager of Denver and Rio Grande Western Railroad was the first to draw the attention of the National Park Service, in making the Arches site a national monument. His action was triggered by an invitation from Hungarian prospector, Alexander Ringhoffer, who was currently residing in Salt Lake City, and had written to the railroad in a bid to make them see the potential of the area he and his sons had previously discovered as a tourist attraction. Wadleigh was accompanied by railroad photographer George L. Beam, and they were both amazed by the site showed them by Ringhoffer. Wadleigh then contacted Stephen T. Mather, the then Park Service director and suggested that the area should be transformed into a National Monument. Laurence Gould, Graduate student in Geology of the University of Michigan also came up with the same suggestion as Wadleigh the following year, after being showed the beautiful scenario by Dr. J. Williams, while on a study trip to the La Sal Mountains. A series of government investigator visited the site and examined it. However, the park investigators failed to include the part originally discovered by Ringhoffer in the plan of the national monument probably because they did not know the exact location. The instead included “The Windows”, a nearby area on the opposite side of Salt Lake Valley. The Park Service designated the site as a national monument in 1926 but not approved by Interior Secretary to President Calvin Coolidge, Hubert Work. Nevertheless, President Herbert Hoover created Arches National Monument by signing a presidential proclamation with the monument consisting of two small detached sections. In 1938, Arches National Monument was enlarged with the aim of protecting more of the scenic features around the Monument, and to encourage tourism. This Enlargement was propelled by President Frank D. Roosevelt by the signing of a presidential proclamation. In 1960, President Dwight Eisenhower signed another decree, making provision for the park to accommodate a new road arrangement. By 1969, President Lyndon B. Johnson enlarged the boundaries Arches National monument just before leaving office, but two year later, President Richard Nixon passed law, a bill enacted by conference, aimed at reducing the total area covered by Arches National Monument and changing its status from a monument to Arches National Park.